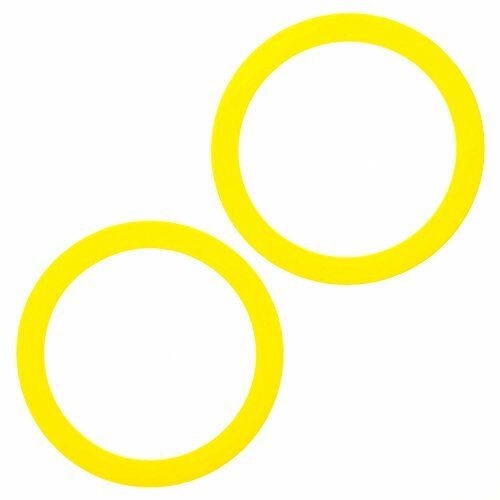 Perfect replacement for your Kohler K-GP1059291 Canister Flush Valve Seal (red or yellow color). Made from high-quality, durable rubber. Equivalent to part K-GP1059291 / 2475620. 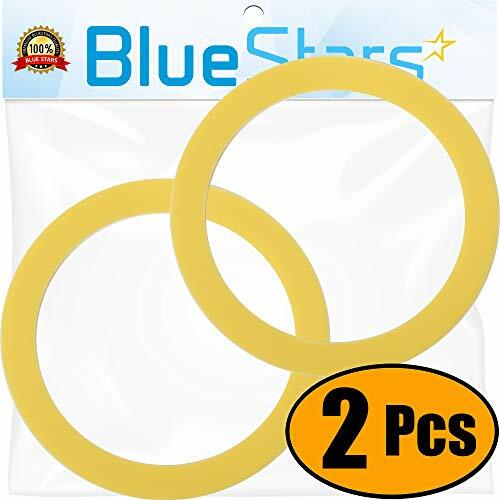 Toilet gasket seals wear out over time and need to be replaced - replacement creates better flushing pressure and results in a quieter toilet. No one wants a loud or hard to flush toilet! Compatible with all Kohler toilets with a canister flush valve. If you have any questions about fit, please ask a question below. Outer diameter of 3 3/8". 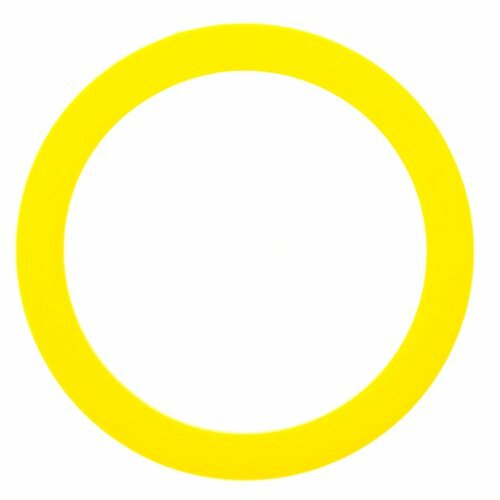 Please note: This is an aftermarket replacement product (produced by Impresa) meeting or exceeding the quality of OEM rings (based on in-house testing). Installation instructions for proper use below. Installation is simpler than you'd expect, and does not require you to remove the base of the toilet. Pack of 2 for a great value! Step 1: Turn off the water (at toilet's base). Step 2: Flush the toilet and ensure that the tank is fully empty (flush again if necessary). Step 3: Un-clip the flush chain. Step 4: Twist the stem counter-clockwise - this will require some force and you will hear a click. Step 5: Lift the flushing unit out from the toilet tank. Step 6: Replace the old seal with your new seal (only one seal per toilet). Step 7: Put the stem back in and twist clockwise to tighten. Step 8: Reinstall the flush chain. Step 9: Turn the water back on. 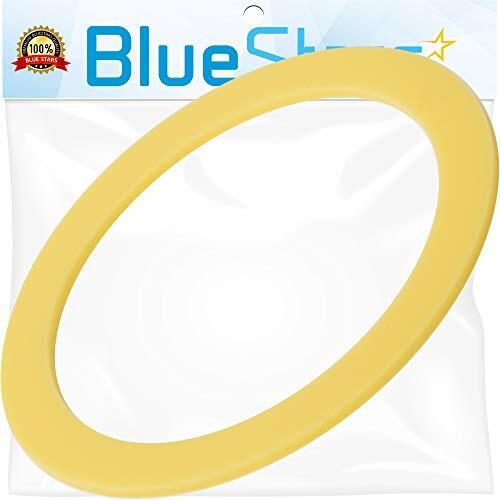 CREATE A STRONGER FLUSH: Toilet gasket seals wear out over time and need to be replaced - replacement creates better flushing pressure and results in a quieter toilet. No one wants a loud or hard to flush toilet! 3 MINUTE INSTALL: Installation instructions for proper use below. Installation is simpler than you'd expect, and does not require you to remove the base of the toilet. Pack of 2 for a great value! 738772-0020A Features: Application: -Toilet. Product Type: -Trip lever. Finish: -Chrome. 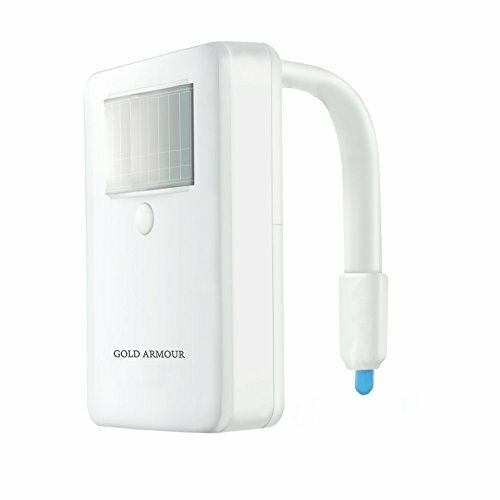 -Ergonomic design makes for easier flushing. -Easy installation. Dimensions: Overall Product Weight: -0.2 lbs. Overall Height - Top to Bottom: -2.5". Overall Width - Side to Side: -1". Overall Depth - Front to Back: -9". WORKS ON SELECT AMERICAN STANDARD AND ELJER TOILETS: Compatible with American Standard Champion 4 and Eljer Titan 4 model toilets. 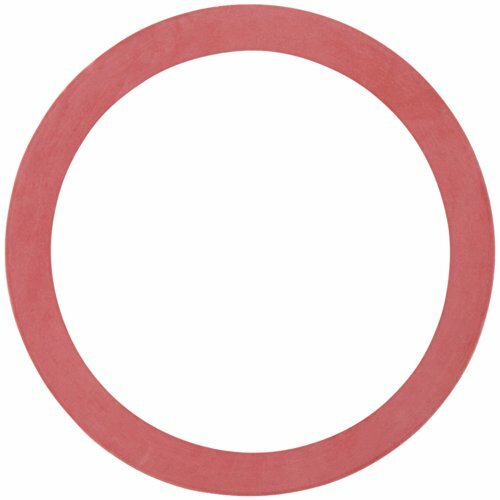 Gasket OD - 4 1/4" / O-ring OD - 9/16"
5 MINUTE INSTALL: Installation instructions for proper use below. Installation is simpler than you'd expect, and does not require you to remove the base of the toilet. Pack of 2 for a great value! INSTRUCTIONS: Step 1: Turn off the water supply. Step 2: Flush to drain the tank. Step 3: Unscrew the black nut and place aside (without disconnecting the chain). Step 4: Remove the O Ring from the black nut and replace with the new O Ring. Step 5: Remove the green top cover with the gasket. Step 6: Remove the old gasket from the top cover and replace with the new gasket (the light blue ring). Step 7: Lift the post with the bottom cover, place the top cover with the gasket on top and twist to the right until it is nested. Step 8: While still holding the post, screw the black nut back on until you hear two clicks and it is fit into the placeholders. DO NOT OVERTIGHTEN THE NUT OR IT MAY SNAP OFF. Step 9: Allow post to slide back into place. Step 10: Turn water supply back on and allow tank to refill. Grand EZ Toilet Bolt Caps - Pair, Universal One Size Fits All, No Need To Cut The Bolt and No Tools Required! Grand EZ Toilet Bolt Caps were designed by Property Managers who became tired of cutting the bolts and purchasing caps that did not work if the shank was too long, too short or cut right to the nut. When dealing with rental houses, a solution was needed that worked no matter what! This toilet bolt cap is designed to work every time and install without any tools. EZ Toilet bolt caps are the only toilet bolt caps that work with or without a shank! When installing new toilets EZ Caps not only save time, but also will save money anytime there is a need to remove the toilet, since new bolts will not be required and the caps are reusable. 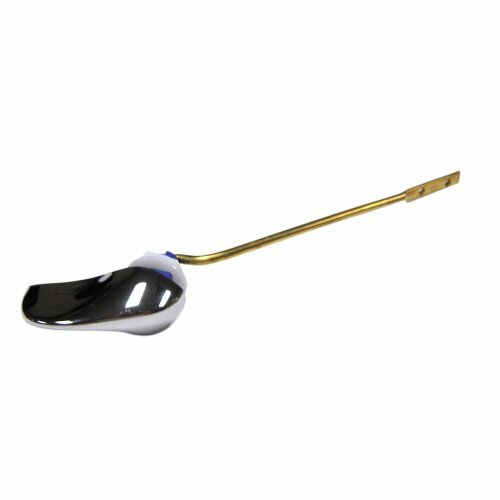 Grand EZ Caps are a great money saving solution for companies that remove and replace toilets all day. Grand EZ Caps are also a great solution for the individual home owner that is tired of looking at the ugly bolt sticking out of their toilet base and would like to install a cap without the hassle of using any tools. This product is designed to work universally on both 1/4 and 5/16 bolts. 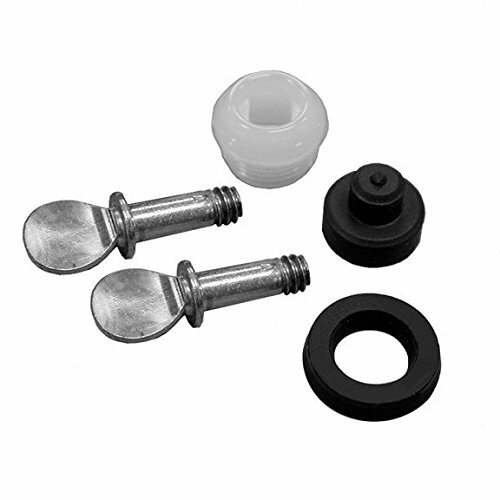 NO NEED TO CUT THE BOLT - EZ Caps not only save time, but also will save money anytime there is a need to remove the toilet, since new bolts will not be required and the caps are reusable. 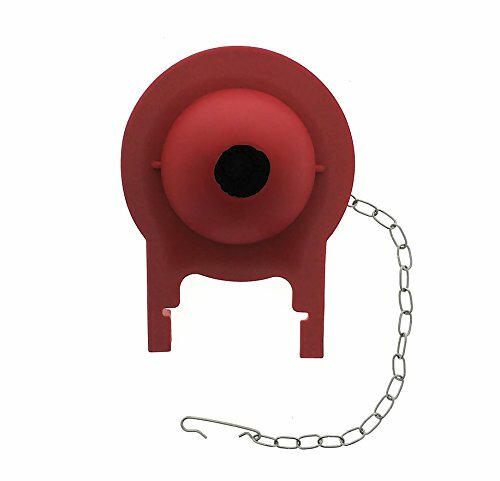 Grand EZ Caps are a great money saving solution for companies that remove and replace toilets all day. UNIVERSAL FIT - This product is designed to work universally on both 1/4 and 5/16 bolts. 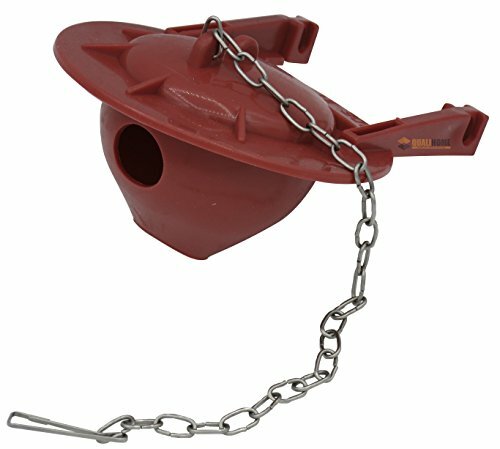 WORKS WITH OR WITHOUT A BOLT SHANK - EZ Toilet bolt caps are the only toilet bolt caps that work with or without a shank! Grand EZ Toilet Bolt Caps were designed by Property Managers who became tired of cutting the bolts and purchasing caps that did not work if the shank was too long, too short or cut right to the nut. When dealing with rental houses, a solution was needed that worked no matter what! NO TOOLS REQUIRED - This toilet bolt cap is designed to work every time and install without any tools. You simply push it on and it stays on. 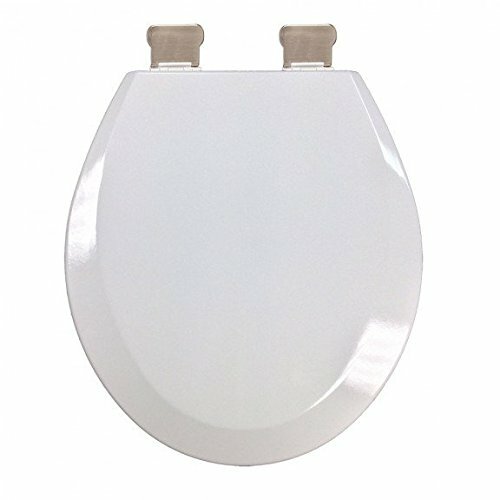 When installing new toilets Grand EZ Caps are also a great solution for the individual home owner that is tired of looking at the ugly bolt sticking out of their toilet base and would like to install a cap without the hassle of using any tools. CREATED IN THE USA - These bolt caps are designed and packaged here in the United States. Turn off water at the supply stop. Flush the toilet to relieve water and air pressure from the Flushmate system. Disconnect water supply line from the supply shank and remove the lock nut that holds the supply shank in place. The supply shank protrudes from the bottom of the china tank on the left hand side. 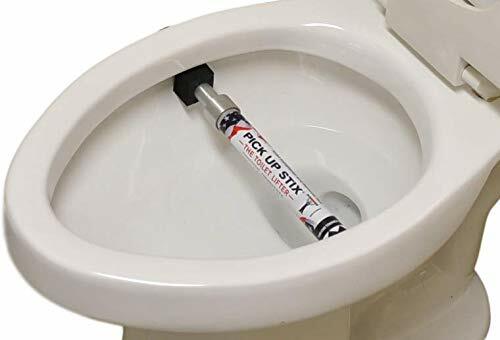 If necessary, disconnect the Flushrod from the flush-handle linkage. Remove the screws that attach the Flushrod to the Flushmate and use them to attach the Flushrod to the new Flushmate. Loosen the nuts on the bolts protruding from the underside of the toilet, below the china tank. These nuts should be loosened much like lug nuts on an automobile wheel; alternate between them instead of completely removing one at a time. Once the nuts have been removed, lift the china tank straight up off of the bowl. Empty any residual water that may have accumulated in the china tank into the china bowl. Place the china tank down flat on its backside on a security location. Remove the tank to bowl gasket (thick, spongy doughnut-type) from the Discharge Extension and unscrew large lock-nut on the bottom center of the china tank. A spanner wrench works well for this, but any tool that will spread to accommodate the 3 plastic locknut will work. Slide the Flushmate system out of the china tank. Place new tank to tank gasket (flat rubber gasket with ribs on one side) on new Flushmate with the ribs facing downward. Some tank to tank gaskets do not have ribs, installation of this gasket is universal. Slide the Flushmate system into the china tank. It's best to insert the supply shank into the china tank first and than the Flushmate vessel. Screw both lock-nuts onto the exposed threads (supply shank and discharge extension) on the bottom end of the china tank. Place the tank to bowl gasket onto the exposed discharge extension and reattach tank to bowl. Attach brass washers and hex nuts to each bolt (making sure you put the washers on before the hex nuts) and tighten securely. When tightening the tank to bowl nuts, use the alternating method while putting downward pressure on each side as you tighten the nuts on that side. In effect, you will be rocking the system in the direction of the nuts you are tightening. You must get the bolts tight enough to prevent any leakage (when flushed) between the tank and the bowl, but not so tight that you risk breaking the china. It does NOT fit 10 Inch rough-in tanks, only 12 Inch rough-in tanks. Rough-in refers to the distance from the wall to the bolts at the center of the drain. Brand: Flushmate | Manufacturer: APR Supply Co.
WORKS ON KOHLERS WITH FLUSH VALVE: Compatible with all Kohler (TM) / Kholer / Koehler toilet tanks with a canister flush valve. If you have any questions about fit, please ask a question below. Outer diameter of 3 3/8"
INSTALLATION INSTRUCTIONS: Step 1: Turn off the water (at toilet's base). Step 2: Flush the toilet and ensure that the tank is fully empty (flush again if necessary). Step 3: Un-clip the flush chain. Step 4: Twist the stem counter-clockwise - this will require some force and you will hear a click. Step 5: Lift the flushing unit out from the toilet tank. Step 6: Replace the old seal with your new seal (only one seal per toilet). Step 7: Put the stem back in and twist clockwise to tighten. Step 8: Reinstall the flush chain. Step 9: Turn the water back on. This is not a Kohler (TM) OEM product and Impresa Products has no affiliation with or endorsement from this brand. The Kohler (TM) brand name and logos are the registered trademarks of their owners - any use is made solely for purposes of describing and illustrating compatibility. Elba Plumbing is Style that Works Better everyday. Reliable, durable and quality engineering and construction. Great performance and great looks. Performance and reliability. Ingenious features. 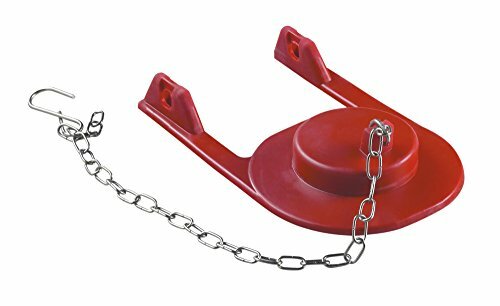 Your satisfaction guaranteed or your money back Includes: 1 rubber flapper and stainless steel chain & hook. Directions for Use: 1. Turn water supply off, flush toilet to drain tank 2. Remove worn flapper from lugs on overflow tube. 3. Remove chain from flush lever arm. 4. Attach new flapper to lugs on overflow tube. 5. Fasten chain on to flush lever arm with hook. 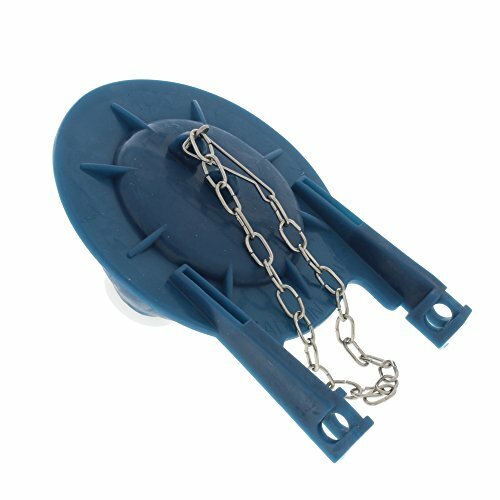 Adjust chain so there is minimum slack when the flapper is in the closed position. 6. Turn on water supply and fill tank. Made of ABS plastic and TPE on the bottom, durable and sturdy, can provide a great buffering and protect your toilet seat well. 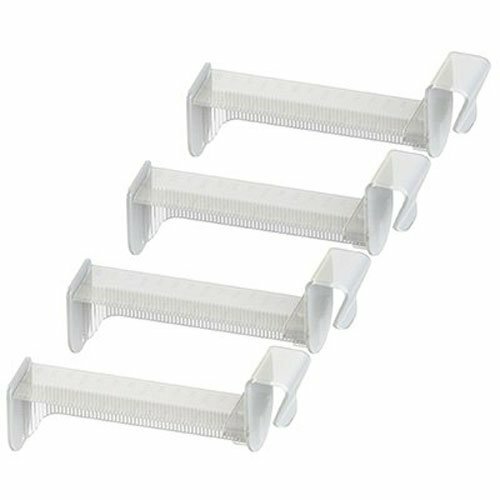 EVA cotton with strong self-adhesive strip, which ensures it stay in place firmly. Select the flat area, clean the toilet seat rings and keep it clean and dry. Peel off the self-adhesive back on the bumper. Stick it on the toilet seat rings. Press hard to ensure it can stick firmly (use it 10 minutes later after installation). Fit for most model of toilet seat, intended for toilet seat repair, can last for a long time use. 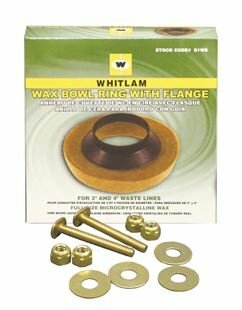 Kits includes all items needed to replace toilet bowl for DIY's : Bowl Wax Ring with Flange, Rust Free Solid Brass Bolts with Nuts and Washers. Instructions - 1. Set the toilet bowl upside down on a smooth and soft surface. Remove poly wrap from the wax ring and place it around the discharge opening with the flange pointing away from the bowl. Press the wax ring softly on the toilet to install. 2. Turn the toilet and place it over the floor ensuring that its discharge opening is perfectly aligned with the drain hole in the floor. Twist it gently to ensure seal. 3. Set screws to secure the toilet on the floor. WHITLAM PLUMB-PRO - The Industry Standard for Over 100 Years. NEVER RUSTS: Solid brass bolts and washers which means you don't have to worry about rust build up. ANYONE CAN INSTALL: DIY or those without plumbing experience can install this set. Instructions walk you through each step. The Flush Valve Seal Fits Kohler Class Five & Class Six Canister Flush Valves. Fits Kohler Class Five & Class Six canister flush valves. Trust PlumbCraft with all of your toilet care and repair needs -- the brand that plumbers have trusted for more than 50 years. Toilet Flush Valve Seal Kit. Shut off the water supply of the toilet before installing this part. Any question please contact us and we promise to work hard to help you to solve this problem. 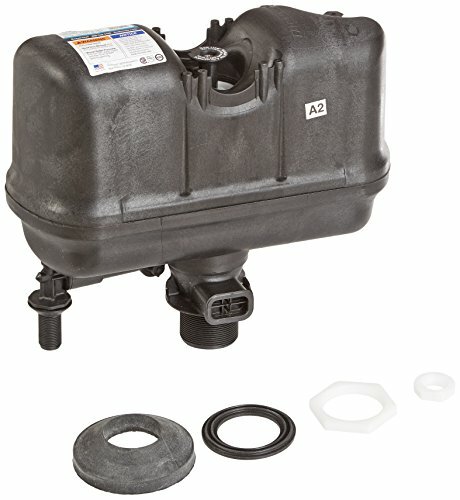 [Help Fix] - If your toilet will leak or flush is inconvenient, this flush valve seal kit can help. Note: Reference only, because other conditions can cause the same symptoms. 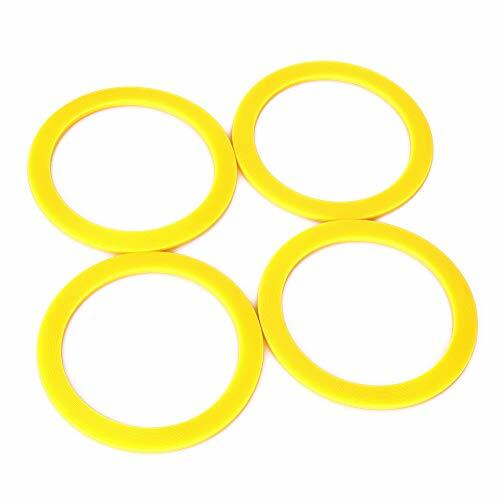 [Ideal Replacement] - The toilet gasket seal is manufactured to the same specifications as the factory part. This part is made from durable high-quality material and well-tested before shipping. While this is NOT a genuine Kohler toilet part gp1059291, it is a direct replacement and it will fit and work like the original toilet parts. [Premium Quality] - Good toughness, good sealing and no worries. Corrosion resistance and durability. [Replaces Part Number] - K-GP1059291 GP1059291 2475620. Please check the compatibility with your previous part and appliance's model before you purchasing this replacement. [Buy with Confidence] - Order from KONDUONE, you can return or exchange within 3 months. If the gasket seal ever fails on your Toilet, please feel free to contact us for troubleshooting help. 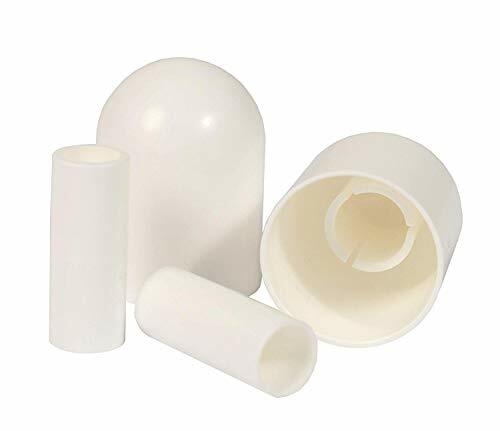 WIDE COMPATIBILITY: Our 3 3/8 canister seal replacement for all Kohler toilets is the best you can get for any toilet with no doubts of a misfit. The right replacement you need for your toilet and no regret on quality and fit. 3 MinuteI Instal: Installation instructions for proper use below. Installation is simpler than you'd expect, and does not require you to remove the base of the toilet. Pack of 2 for a great value! 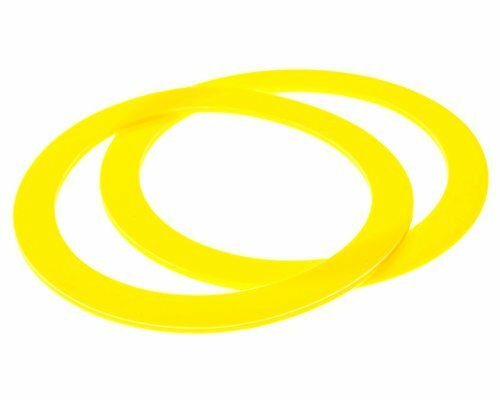 Perfect replacement for your Kohler K-GP1059291 Canister Flush Valve Seal (red or yellow color). Made from high-quality, durable rubber. Equivalent to part K-GP1059291 / 2475620. Toilet gasket seals wear out over time and need to be replaced - replacement creates better flushing pressure and results in a quieter toilet. No one wants a loud or hard to flush toilet! 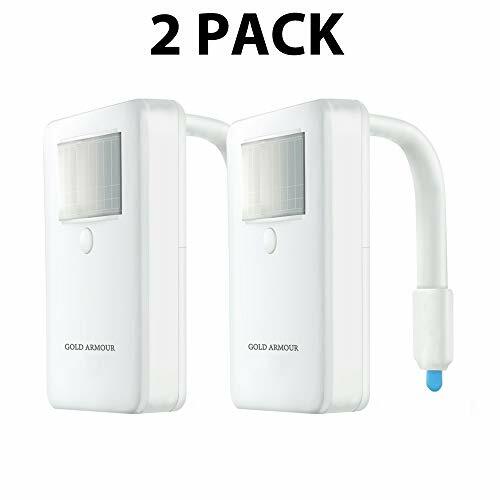 Compatible with all Kohler toilets with a canister flush valve. If you have any questions about fit, please ask a question below. Outer diameter of 3 3/8". 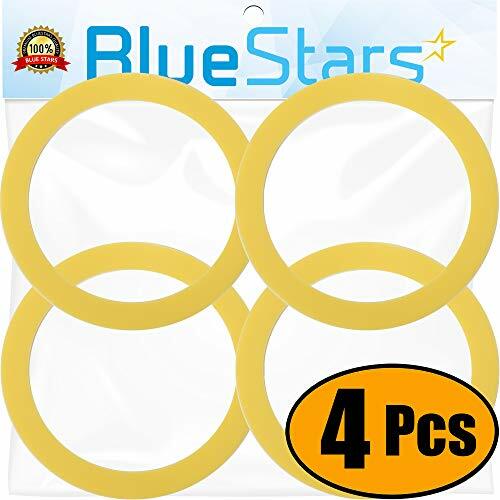 Please note: This is an aftermarket replacement product (produced by Impresa) meeting or exceeding the quality of OEM rings (based on in-house testing). Installation instructions for proper use below. Installation is simpler than you'd expect, and does not require you to remove the base of the toilet. Pack of 2 for a great value! Count on our K-GP1059291 Canister Flush Valve Seal for an unrivaled mix of durability, convenient functionality, and great value for money. Click 'Add to Cart' now! Specification: Original Mansfield parts The manufacturers' names are used only to describe whose products the tank levers will fit. The tank levers are not manufactured by those companies. The manufacturers' names are used only to describe whose products the tank levers will fit. The tank levers are not manufactured by those companies.